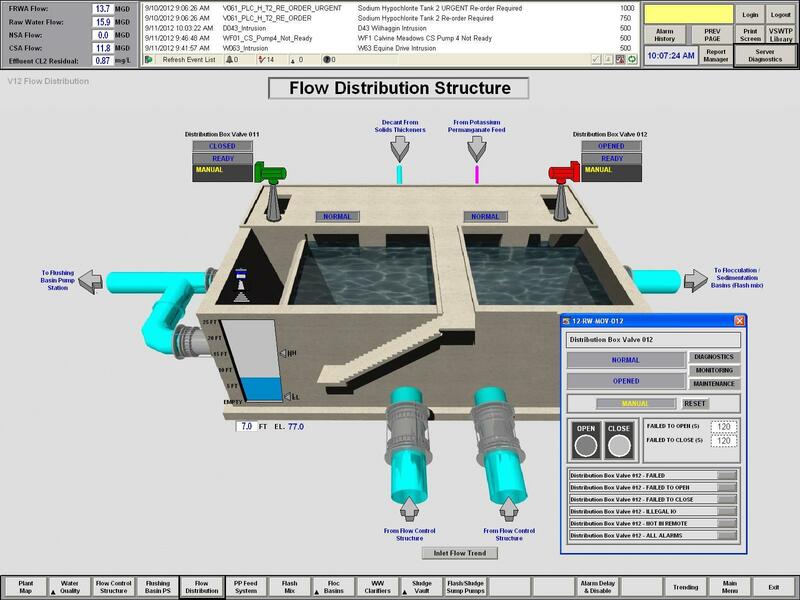 Flow Distribution structure (background) displaying a control faceplate (foreground) for one of the two distribution values. 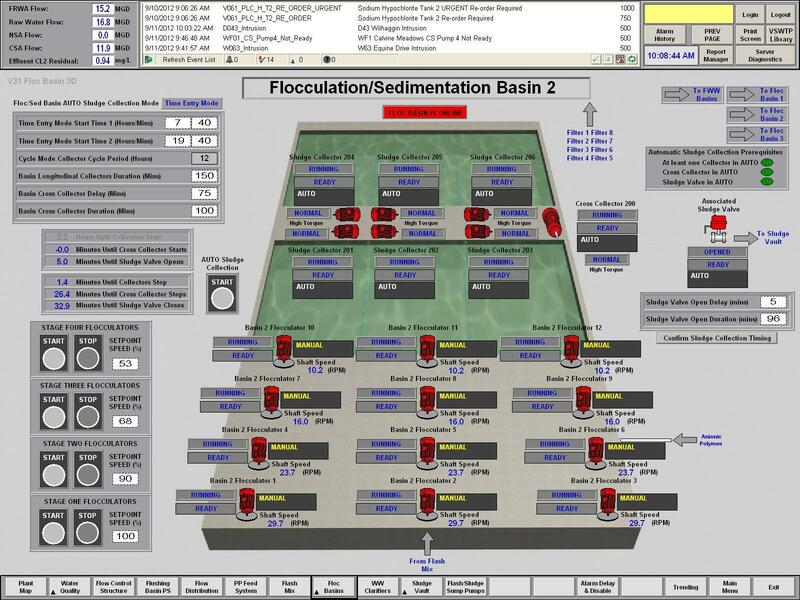 Flocculation and Sedimentation Basin graphic, flocculators and sludge collectors all controllable via pop-ups accessed by clicking the desired device. Sludge Vault Structure viewed to display the three flocculator valves. 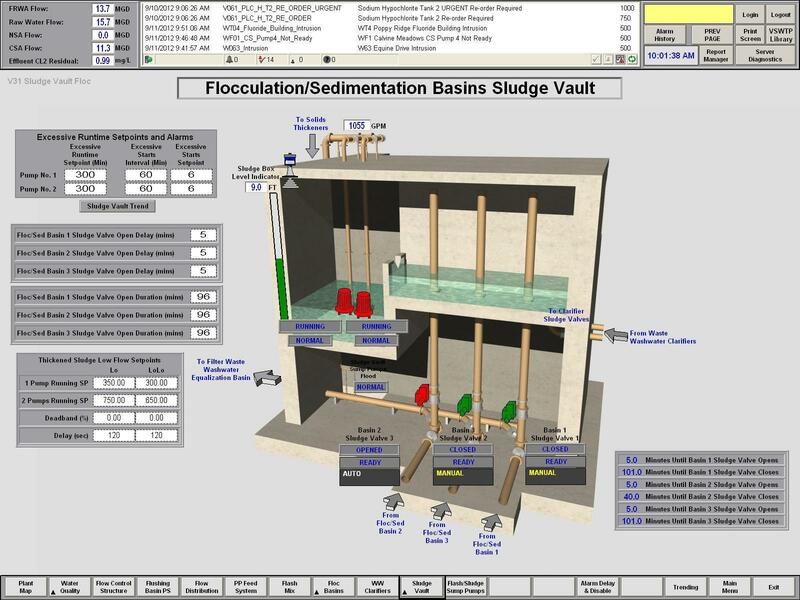 The sludge vault level indicators is displayed numerically and graphically. 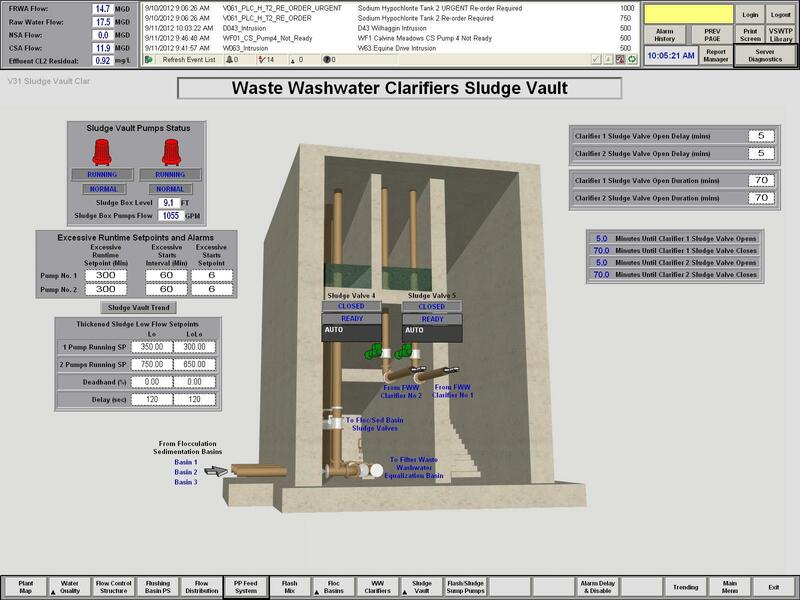 Sludge Vault Structure viewed to display the two clarifier valves. The sludge vault level indicators is displayed numerically.